We had a Bush 14 inch TV when I was a kid. We were probably one of a dozen houses that had TV. Our house used to be filled with people during cricket matches and on Sunday evenings, specially because we had an Exide1 12V car battery and our TV had a 12v DC input pin. So cricket regardless of power-cuts. It was a refurbished battery. My father had acquired a home charger for it which was rare then. Once a week we would use the hydrometer to check the charge levels in each cell and then add distilled water to keep the proportion right. It was a nightmare to maintain the battery. That said it worked when we needed it. We didn’t have an inverter then. I am guessing it was difficult to get or must have been expensive. So we made sure some elctronic devices at home worked on 12v DC. Like our lights, TV to Radio all ran on DC during the power cut. Of course the change wasn’t automatic. We had to manually shift to DC power. Also my father had done separate wiring for DC power inside home. It was very geeky but we had power when most of the village didn’t. 30 years later today we have a UPS running on a maintenance free Exide batteries with inverter. So much has changed. But not my interest in DIY batteries. 1.3 What about D – Batteries? 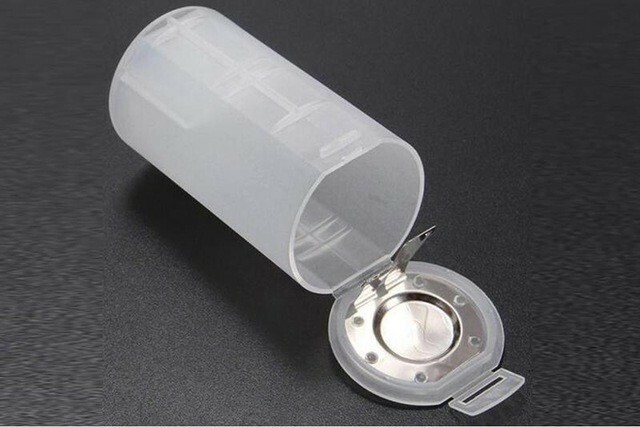 These are the most suggested AA batteries on CoolTools blog. Initially I got four Eneloop Pro to try. They seemed to work well like all things suggested on CoolTools blog. Then got the next set of eight regular AA Eneloops and 6 AAA Eneloops. I have been very happy about them. So what’s great about Eneloops? As you can see even though the capacity is lower than Pro’s, it’s life is four times more. With 2000 cycles, even if you charge/discharge every day, they can last for 5 years. I am predicting at least 10 years of life. That’s a lot of use and throw batteries saved. 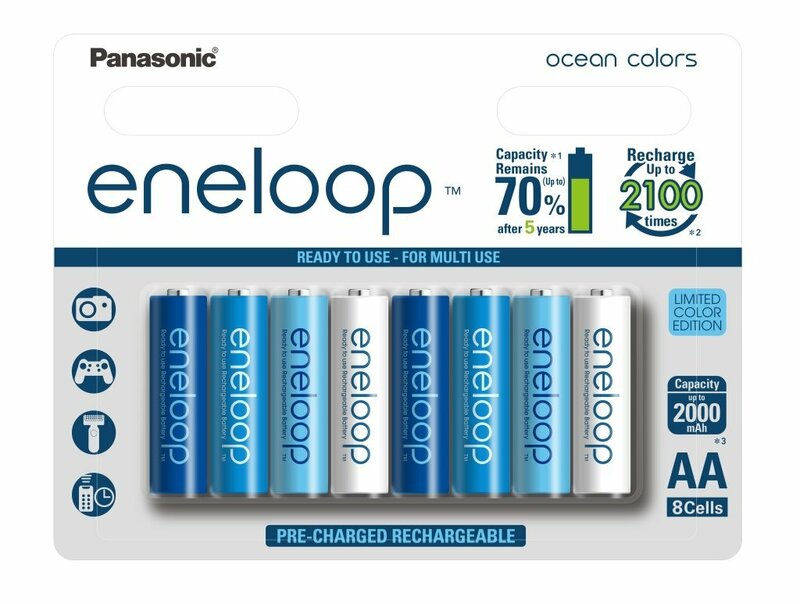 So I got set of Eneloop Ocean (8 AAs) and 6 of Eneloop AAAs. What about D – Batteries? My Philips Radio uses D batteries. D cell or R20 are usually seen in big torches or desktop radios. They are 1.5v batteries and around 8000 mAh capacity 2. Instead of looking for rechargeable D batteries I thought of using AAs. The best way I have found is to use D cell adapter. It takes two AAs and puts them in parallel inside a case. The dimensions of case match the dimensions of D cell. So you could use it instead of D cell. The capacity is on the lower side but its better than using regular batteries. I have a Panasonic BQ-CC17 charger which can charge AAA or AA Ni-MH batteries. It can charge up-to four batteries at once. Its smart enough to turn off the charging once the batteries are full. The dimensions are that of a standard wall battery charger. It’s affordable and travel friendly. Along with NiMH AAAs I have started experimenting with other batteries. Most of them are Lithium Ion batteries. I am planning to buy some discarded laptop batteries and build a 12v battery pack based on 18650. 18650 are Lithium Ion 3.7v batteries. Their typical capacity can vary from 1500 to 3000mAh. My idea is to build a standard 12v battery based on 186503. I see a lot of accessories in the market running on car’s 12v cigarette lighter adapter. So 12v DC has become like a standard power source and remains same in many countries. Initial build is going to be 3S2P (3 in series and 2 sets in parallel). That should give 3*3.7=11.1v nominal and enough mAh to run some small accessories. I would also love to experiment with Lithium Iron Phosphate aka LiFePo4 batteries. They look like they are made for building battery packs for electric vehicles. I will keep you guys informed about my experiments. While experimenting with 18650 batteries, I wanted a charger which could charge multiple kinds of batteries and is smart about it. After quite a bit of research I settled on Nitecore D4, it can charge IMR, Li-ion, LifePO4, NiMH, Ni-CD. That’s all almost all of the battery types that I want to try. It can charge up-to 4 such batteries. It has display to show the status by battery, charging rate etc. It will auto shutdown the charging after the battery is full. It can also check for wrong polarities. It can be powered through AC 120v-240v or DC 12v. So it can be used inside house or in Car or can be attached to a solar panel. I have used it for a while and I am very happy. Hey Thej… THANK YOU! I never heard of D cell adapters, and they have them for C cells too. I just ordered some from Amazon, and looking forward to seeing how they work. 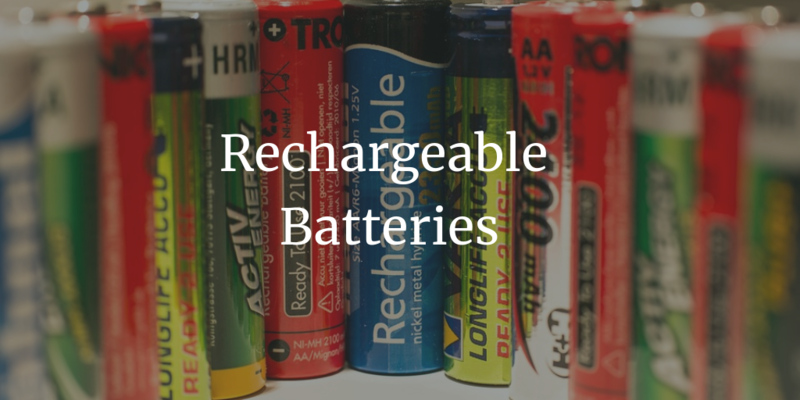 I try to use rechargable batteries when all possible, and have found the Amazon brand, AmazonBasics, work for me as well as the major brands. Plus they are usually just used in kids toys, which are left on longer than they should, so it’s hard to measure their true effectiveness. Again thanks – this will make my life a lot easier! Hope all is great with you! I have not tried AmazonBasics. I will have a look. I am trying to see if I can convert my bike into ebike. That would be an interesting project working with batteries. Also the batteries Tesla now uses are 21700 I believe!